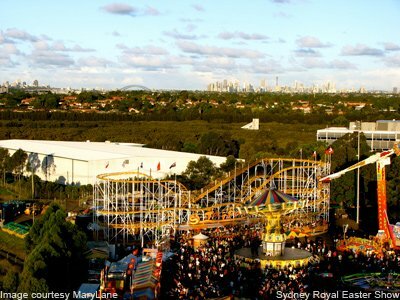 The Sydney Showgrounds are home to many major festivals and events in Sydney, including the Royal Sydney Easter Show, countless expos and the AFL. It is also an ideal location for conferences and functions, with superb facilities and nearby accommodation. The Sydney Showground Stadium is a Sports and Events Stadium located at Sydney Olympic Park in Homebush Bay, Sydney. Purpose built in 1998 for the 2000 Sydney Olympic Games and to replace the Moore Park Showground, the Sydney Showgrounds has a choice of over 20 distinctive venues, including the Charles Moses Stadium, Main Arena, The Dome, Exhibition Halls and Pavilions, making it the perfect location for an event of any size. View our map of Sydney with major attractions highlighted. Comfort Inn & Suites Burwood is perfectly located close to the Sydney Showgrounds, making it the ideal motel accommodation choice if visiting for a special event like the Sydney Royal Easter Show. 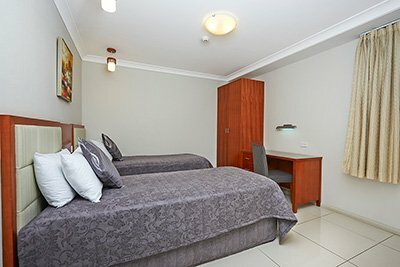 View our selection of Serviced Apartments and Hotel Rooms near Sydney Showgrounds in Homebush Bay, and enjoy the comforts of home throughout your stay. Our affordable accommodation is conveniently located a short trip down the Great Western Motorway. Note: All rooms are non-smoking. There are seated areas and smoking trays located outside the rooms for your convenience. View availability and book online today or call us now on 61 2 9744 0521!